A former job seeker tells how he used social media to quickly find a job during the recession. Although this story is about a job search in Israel, these tactics should work anywhere that LinkedIn and Facebook are popular. My name is JOB SEEKER'S NAME. I am an American Oleh and recent MBA grad looking for a job in Israel. I am trying to get an entry level position in COMPANY NAME and by a LinkedIn search found that you work there. Would you be willing to talk on the phone? If not, could you give me some advice by e-mail? Any help you could give me would be greatly appreciated. Note that had enough people responded to my invite with “I don't know him,” my privilege to continue in such a manner would have been taken away. It didn't happen, but the chance was still there. Shockingly, about half of the people I emailed did respond by e-mail or by phone. Some were willing to forward my CV to their HR department but some were willing to chat on the phone. When I got the chance, I'd ask what the career path is in their company (i.e. what are the entry-level positions) and then for some general advice in getting a job in Israel. Many had a sort of interview with me and would send my CV to HR with a nice cover letter about our conversation, what they thought of me and where I could help the company. Basically, people just like to help people and when I shouted “could you give me some advice or help?” many came running to help me. I did the above process for about 10 companies. Unfortunately, all of them are currently on hiring freezes (this was in January 2009, when thousands of jobs were lost in Israel and many workers had their hours cut back). However, thanks to what I did I have contacts in all of them and already have a foot in the door when the time is right. Also, I've been emailing my contacts every so often to see what is going on with the hiring freezes. In the end I got a job through another social network. I saw an ad for a job and I *almost* fit the job description but they wanted a certain requirement I did not have and to be honest, I didn't think you needed for the job. I took the contact's e-mail address and Googled it in order to get the contact's full name, which I then plugged into Facebook and LinkedIn. It turns out we have a few common friends on Facebook and we even attended a barbecue together at a common friend's house. I called the common friend of ours and asked her to see if I could get my CV through despite not having all of the requirements. My CV got through and after a few interviews, I got the job. The CV does not matter nearly as much as your connections. As long as your CV isn't something a monkey smeared on a wall it is fine. My interviews referred to my CV much less than my small connection to someone in the company. The person who trained me at the new job didn't even look at my CV but did notice that I knew someone in the company. As a side note- while I was looking for a job, I met with a professional HR person who told me that according to research she was given, 85% of jobs in Israel are found by networking. I can only imagine that this number will rise during the recession and in hard times, it is not those who are the most qualified, but those with the best connections that will get the jobs. How Facebook Got Me a J-O-B! How To Find a Job Online: Forget Monster. Try Facebook. If you liked this article, you'll enjoy 37 Ideas to Grow Your Job Search Network Right Now. Inspired? 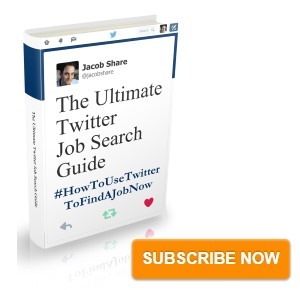 Subscribe to JobMob via RSS or email and follow me on Twitter for more job search success stories. I fully agree with this article: I also found a job in israel because of connections! I had serached hundrees of sites, sent my CV to recruiters, companies (who by the way ALL posted ads seraching people for positions where i was applying)95% didn’t even bother to answer! when I emailed private individuals I got responses, most sent my CV to HR. Funnily enough, when I came to the same job with a contact, I managed at least an interview!! a job, I found when I was introduced to the company I was trying to get in touch with via someone I knew who had connections in the company…. like your reader said: my CV was important on a lesser degree….and ONLY after I finally managed to get a foot in! If you think connections are important everywhere, it is true but until now, where I worked, (Europe) it was the other way around: your CV got you a foot in the door and, eventually, if you had a connection it would help in case of many candidates applying for the job. my experience is US based, but I’ve been looking for a job since July-Aug last year. It’s a tough market. I got responses <2% of the time responding to job ads (and I really fit the position). Via networking, I got some level of contact within the target company 90% of the time. And I *just* landed a job via networking. I think if you are humble and take a curious/information seeking approach, you can network well. Also, there are enough companies out there that offer referral bonuses to employees, that there’s something in it for them to bring in someone. So get to know the person a bit so they can give you positive feedback with their referral. word of caution about Facebook. it can be very helpful research tool, but I’d advise against mixing business and pleasure on facebook. It’s too easy to have stuff you may not want popping up in your professional circles. There’s been enough articles about people getting in hot water at work over Facebook, or worse, having a recruiter skip over you because something there. I use facebook and LinkedIn, but keep very different lists of people on both. LinkedIn is a good place for finding employment opportunities. A very interesting article. Every article on social/business networking I see is biased toward the early/mid-career job seeker. Are the rest of us chopped liver? alisa- you’re right: outside of Israel, the CV is more of a factor in getting you noticed. dave- good point. The easiest way to separate personal & professional activity on Facebook is to use a Facebook Page as a professional account and use your regular account for personal contacts. PennySue- I’m glad the job seeker’s story has appealed to so many. It’s a good writeup. Allen- I hear you. On the one hand, more experienced careerists tend to build larger networks over time and those people don’t always appear on the social networks so the above technique is less useful. On the other hand, building a network of *people who’ve actually met you* is much stronger than the average connection you’ve made online. An interesting point that you raise is the rejection due to overqualification. This almost always happens because of a communication problem. Either the company (or whoever they paid) wrote a poor job requirements or your resume isn’t describing your qualifications well enough to the recruiter/hiring company. Look back at the 3 cases you mentioned and try to figure out which one it is. Agree whole heartedly with your comments on reaching out for ‘help’ and/or ‘advice’. This was echoed by a fellow job hunter last week when we discussed tactics over a cup of coffee re past & present approach(es) to recruitment consultants and potential employers. This amongst other things may have contributed to him tweeting the great news of a job offer only this morning. WOW! I am totally intrigued by this method of cold-calling via social networks. Quite honestly I had not thought of something like this. I have nearly 20yrs of experience in my field, but have not been very active in the markets that I would like to find work in lately, and thus my contacts are minimal. SO -I’m going to follow the exact procedure outlined here. I will be curious to see what the actual results are in doing this. Very Impressive, and Thanks for sharing! 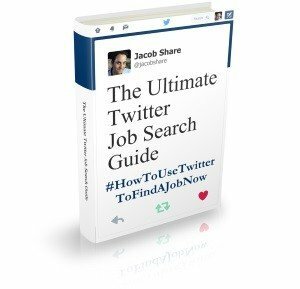 This a very interesting story on how to find a job and it is very useful advice. Thanks for your insights and for reinforcing the virtues of networking! Excellent, everybody may have to reinvent themselves in this environment.